Neutron activation analysis (NAA) is a method for quantitative composition analysis of chemical elements based on converting the stable nuclei of the sample to radioactive nuclei by nuclear reactions, followed by the quantitation of the reaction products via their gamma radiations. 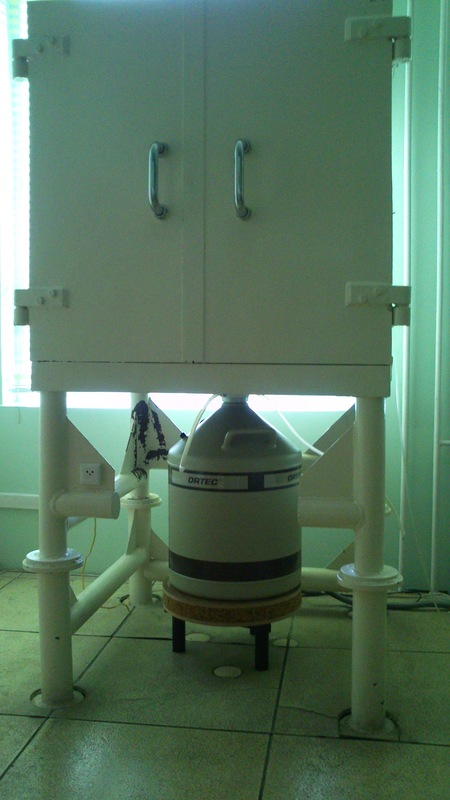 The k0-standardized neutron activation analysis (k0-NAA), combined with high-resolution and high-throughput gamma-ray spectrometry, offers mostly non-destructive, multi-elemental analysis for many branches of science and technology. NAA has inherently favorable characteristics, negligible matrix effect, excellent selectivity and high sensitivity. Even small amount (few tens of milligrams) of (mostly solid) samples can be measured, in which about 35-75 elements in less than 0.01 μg quantities can be determined. Samples for NAA are irradiated with neutrons in the core of the reactor. Both short and long time irradiations are possible in two designated vertical channels of the Budapest research reactor. Short irradiations are performed by means of a pneumatic rabbit system, whereas samples for long irradiations are loaded into the rotating channel. The gamma-rays emitted from the sample are counted in low-level gamma-spectroscopic counting chamber to reduce the external background. In the NAA laboratory of BNC there are three low-level gamma-spectroscopic chambers, which are built from pre-World War II steel (to be free from any man-made radioactivity), have 10 cm thick walls covered with a 2 mm thick Cu-layer from inside to attenuate the X-rays. Three different high-purity Ge detectors and two digital gamma spectrometers are installed to detect and collect the gamma spectra. Table 1. 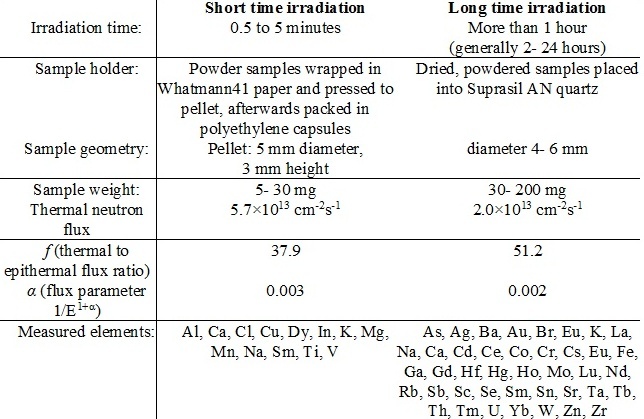 Technical details of the irradiation and counting. As for details of the detectors and spectrometers (2014) see Table 2 and 3. 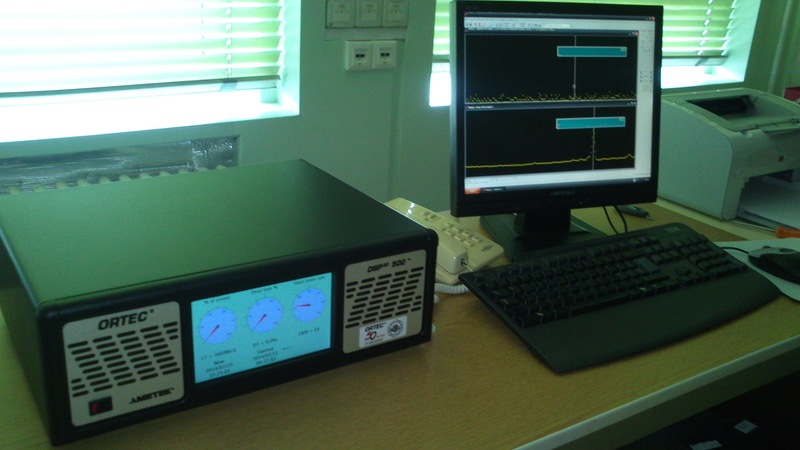 The spectra are evaluated using the gamma spectroscopy package Hyperlab 2013.1. Calculations include automatic peak search, energy calibration the nonlinearity option, net peak area computation and efficiency correction. For quantitative evaluation, the KayZero for Windows 3 program is used, based on the k0 standardization.